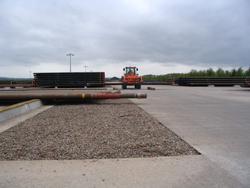 We professionally supply concrete specific to the needs of our customers. Whether it is watertight concretes with specialist admixtures to porous no fines, heavy weight concretes or lightweight density, steel or polypropylene fibres, 40 mm aggregate size or foamed type mixes these are our speciality. Please speak to our sales team for advice and a competitive quotation. Even the best concretes may allow water to pass through. By using specialised admixtures the concrete can be supplied with low water cement ratio and capillary blocking capabilities, improving water tightness where this is required. We work with all the admixture manufactures and can supply to the individual concrete requirements and specifications. Structures designed that contain water or are required to keep water out may benefit from this latest technology, such as basements, water tanks, tunnels, reservoirs, underground structures and sewerage treatment applications. Our sales team will be pleased to assist with your specification and requirements in conjunction with the specialist admixture suppliers. Should the specification require low density foamed concrete for specific void filling applications then we can supply this concrete in conjunction with specialist contractors to achieve your specification requirements. Please contact our sales person for more details. 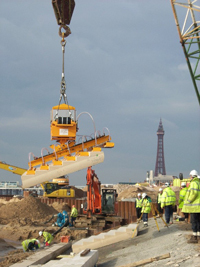 At Hills Concrete we have supplied a vast amount of concrete with polypropylene fibres. These fibres are batched in the concrete to reduce the occurrence of plastic shrinkage cracking and plastic settlement, whilst enhancing the surface properties and the durability of the hardened cementitious product. The fibres are generally in lengths of 12 mm and the fibres are coated with surfactant to improve dispersion and bond. Our sales team shall be very pleased to discuss your requirements and specification for concrete containing fibres. We are able to supply concrete containing macro fibres that can replace tradition steel reinforcement and improve the performance of the concrete. Our various suppliers of both steel and synthetic macro fibre can offer a design service so that your structural specification can be met, often with significant cost savings. Our sales team will be pleased to assist.